Let’s take a quick departure from marketing specific things, and open up another topic near and dear to every working person. How do we move beyond fighting fires to efficiently and effectively working on projects? 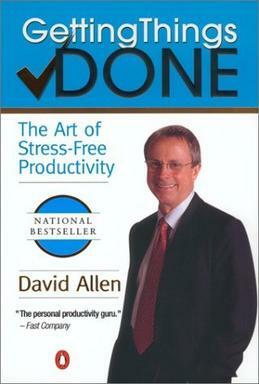 I am a big fan of David Allen’s Getting Things Done (GTD). The book is different than many in that it provides practical tips, tricks and how tos that help you get all the stuff out of your head and into a trusted system. After various starts and stumbles over the past 7 years, I have tried many different ways to manage my ‘next action’ lists. David Allen is right when he says that no one system is right for everyone; you have to find what works for you and use it. But the best part is the concepts stay the same, whether you are managing your lists in the cloud, in Outlook or on paper. Over the years, I have tried many different set ups: The Outlook add-in, the file folders and finally my customer 3 ring binder. I could not get comfortable using the electronic systems. When I got overwhelmed I would always run for paper and pen to make a list, so I figured I needed to just adopt that strategy from the outset. Now two years later, I am still using essentially the same system. I am a digital guy and I love my electronic tools, but I love paper & pen because it is the most flexible planning tool you can use. One of my fears with managing my lists electronically was about back up. Granted, my paper system could be lost, but it is much less likely given how I use it. @Dated Notes – all meeting notes go here. I archive the whole system (in another big 3-ring binder), but this is by far the biggest section. I used to use steno pads for calls and legal pads for meetings, but the challenge was how to store them for easy retrieval. Now it is all in one system. @Waiting For – this is the most helpful trick I gained from GTD. Make a dated note when you send an email, make a call or delegate something, now you don’t have to remember it because it is in your system. @Projects – my list of projects. It is the only piece in my binder that is typewritten because my projects don’t change very often. (Optional) Labeler…to mark your tabs, etc. We all need to get things done and with all the inputs we have in our lives today, this is a concept and some ideas for you to consider. Good luck getting your things DONE and your inbox to empty!